QuietCool is the revolutionary whole house fan that has taken America by storm. QuietCool users across America have experienced significant savings when they turn their A/C off and their QuietCool on. The QuietCool Revolution is being led by people like yourself that are tired of spending all of their hard-earned money on their electric bills. QuietCool whole house fans allow homeowners to turn their most expensive appliance off and improve the comfortability of their home for just pennies an hour. QuietCool whole house fans are a ventilation system that is whisper quiet compared to old, traditional whole house fans. Because it is quiet, homeowners will run it for hours at a time allowing it to cool the entire mass of the home. The QuietCool whole house fan will replace all of the hot air, eliminate pet dander, and exhaust all of the pollutants that are built up in the home within a matter of minutes. With over 98% customer satisfaction, QuietCool is helping to improve the lives of many across America and we can't wait to help you! •	QuietCool whole house fans can save up to 50-90% on your A/C related costs. •	Instead of paying premium rates for air conditioning, QuietCool helps limit A/C usage to the hottest parts of the day. Anytime it is cooler outside than inside, run your QuietCool system instead! • QuietCool whole house fans are about as loud as A/C Return! •	Run your QuietCool fan for hours at a time, even while you are sleeping, and you will hardly remember it is on. •	All of our units fit 16” or 24” on center which requires no joist cutting in the attic. •	Keep your attic’s integrity completely intact while installing your QuietCool system in a fraction of the time a traditional whole house fan takes! •	Pro Series (Trident Pro & Stealth Pro) each come with an industry leading 15-year motor warranty and are sold exclusively through our authorised dealer network. •	Classic Series (Classic & Energy Saver) each come with a 10-year motor warranty and are sold through our e-commerce partners. From Classic to Pro Series, our whole house fans can save you up to 90% on A/C related energy costs. Our smart attic fan automatically keeps the attic cool for you. 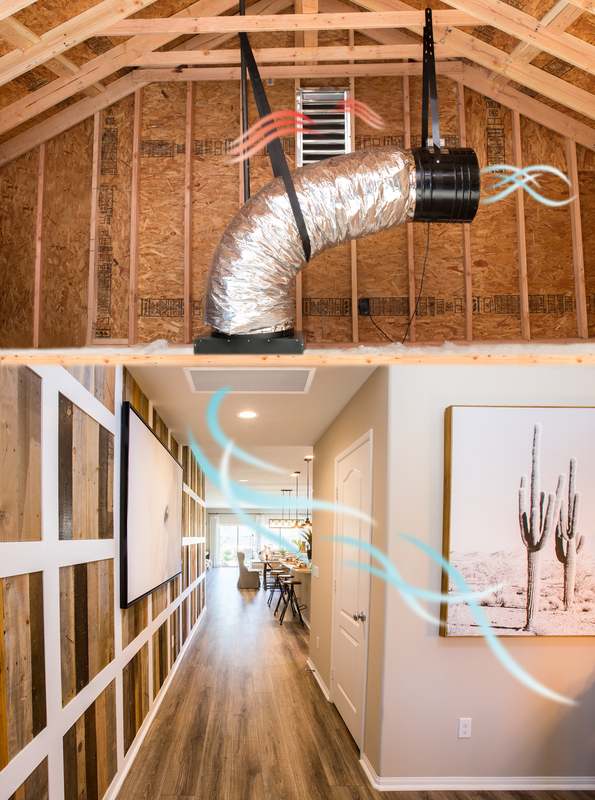 Learn how a whole house fan cools your home by pulling cool outside air into the home and attic. 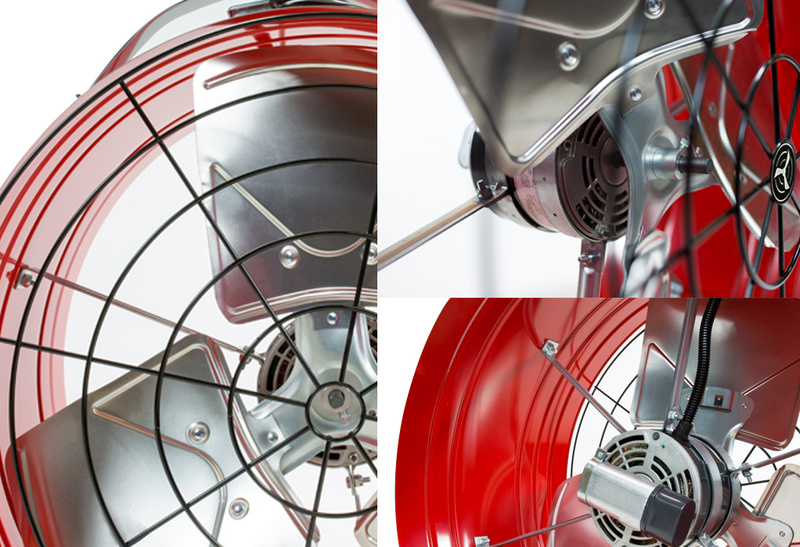 Our fans are available at Dealers, Wholesalers, Retail and E‑Commerce locations. Learn about the benefits of using a whole house fan. Reports that indoor air pollution may be 2-5 times more polluted than outdoor air, even in major metropolitan smoggy cities. 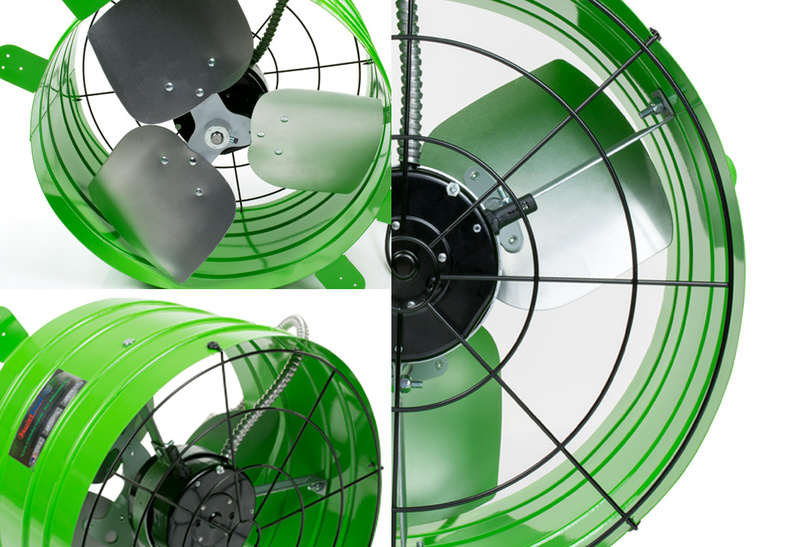 Reports that installing a whole house fan is the most cost-efficient way to cool your home. Released a study comparing a Title 24 home and an alternative home and found that in the “More Energy Efficient Design” alternative home, a whole house fan essentially eliminated an air conditioner in 10 of the 16 California climate zones. Please visit our Support page to send comments, questions, or any concerns.